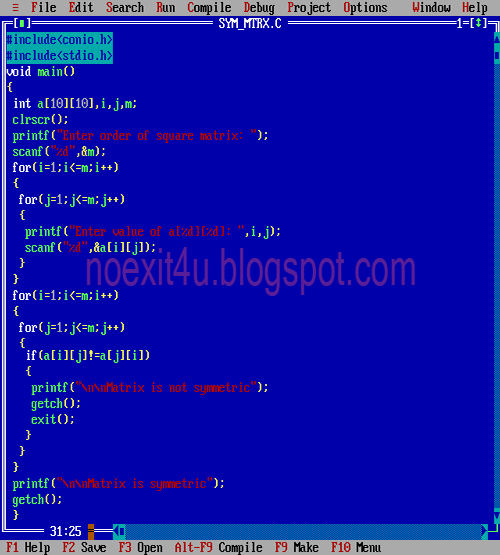 Thanks .. here the algorithm implemented in above program. 1. 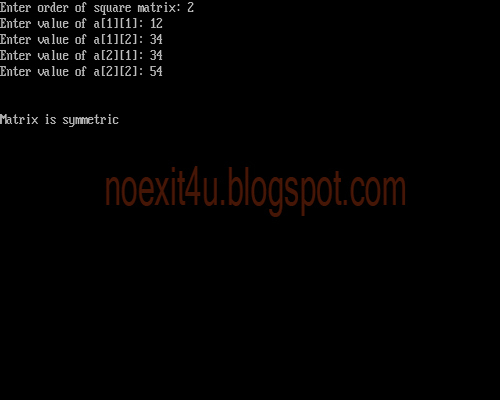 Find transpose matrix of inputMatrix and store it in transposeMatrix. 2. Compare inputMatrix and transposeMatric. add #include in header files. It will work of any square matrix.